Computers, creative commons, E-Books, jamendo, radio, T.V. Digital Media is becoming the norm now days, with mp3/mp4 players and hdmi HD video streaming available from the net to your TV there is very little left to explore. There is of course shoutcast a long living internet radio streaming system and Orb a full media streaming system for pc and Mac. So much to choose from and so little effort required to set up almost any type of multimedia system. Places like Jamendo.com and Archive.org give people the ability to find creative commons licensed and public domain movies, music and E-books. Don’t forget about Google books another good source for free and creative commons licensed E-books. 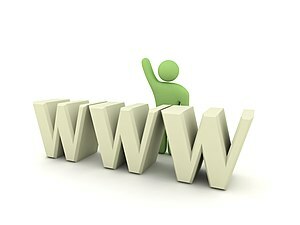 So much to choose from with the world wide web at ones fingertips and thus a new network is growing. The World Wide Multimedia Net, Information in all media formats and entertainment at your fingertips. I foresee a struggle from cable companies and satellite providers to stop the newer form of media transmission but eventually they will adapt and turn what now is free and cheap to another expensive commercial ran entertainment venue. In time they will take over just like they did in all other previous media services and push the hobbyist and small business people out of the new market. This had already happened in the internet radio industry, the big music companies made it almost impossible for a hobbyist to legally run a internet based radio station. They lobbied congress until a bill was passed to force hobbyist to pay high priced loyalties even if their station didn’t earn money and was for fun or not. Given time the same will happen to the video sites we enjoy and the creative commons movement if we don’t support their efforts. Maybe if we are lucky the new media revolution on the web for video will not succumb to the same fate as the internet radio stations. Would be nice to have Internet TV that is both commercial and hobbyist in order to keep the programming affordable and diverse. But more than likely the big boys of the corporate world will once again squeeze all of the little guys out before they have a chance to grow.